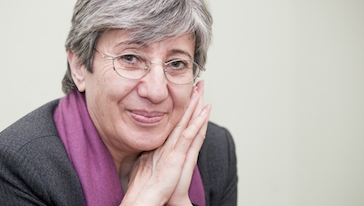 Sima Samar is a human rights advocate, current Chairperson of the Afghanistan Independent Human Rights Commission (AIHRC). In 2005-2009 Sima Samar served as the United Nations Special Human Rights Rapporteur for Sudan where she was mandated to “examine, monitor, advise and publicly report” on the situation of human rights. Samar was the first ever minister in Afghanistan for women affairs (2001-2002). She was named among top 100 global thinkers by the Foreign Policy magazine in 2012. Founder of the Shuhada Organization. "Promotion of human rights and women’s rights is one of the ingredient of sustainable peace and development in Afghanistan and in the world" - says Sima Samar ahead of her lecture in Ljubljana. Watch live at http://kapuscinskilectures.eu on 22nd April at 5pm CET / 3pm GMT, ask your questions using #KAPTalks. Afghanistan has gone through 37 years of war, the parties to the war have changed during these years, but the violation of human rights and women’s rights continued in different levels without any type of accountability and justice for most of the time. 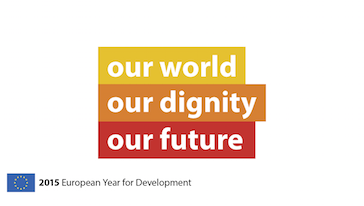 During the conflict and war, usually women and children, people with disability and elderly are the victims. Because it is always easy to control women (as half of the population), under the banner of respecting culture and traditions, honor of the family and community, religion and protection. It is harsher in countries where the majority of the people are uneducated. Discrimination against women in Afghanistan continued, particularly during the first 25 years of the war. After 9/11 and the international community’s involvement in Afghanistan, the situation on human rights and women’s right have improved a lot, but it is still far from the full equality between men and women. When: 22nd April 2014 at 5:00pm CET / 3:00pm GMT (check time around the world).